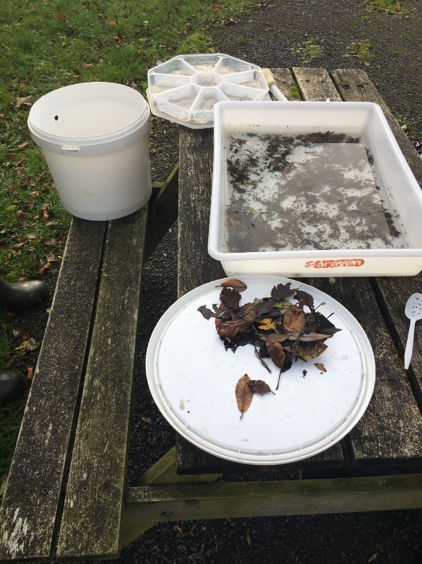 Following on from the report about the river flowing through the park we recently had a visit from the team monitoring the health of the river. On an approximately monthly basis a sample is taken from the river and checked for wildlife. 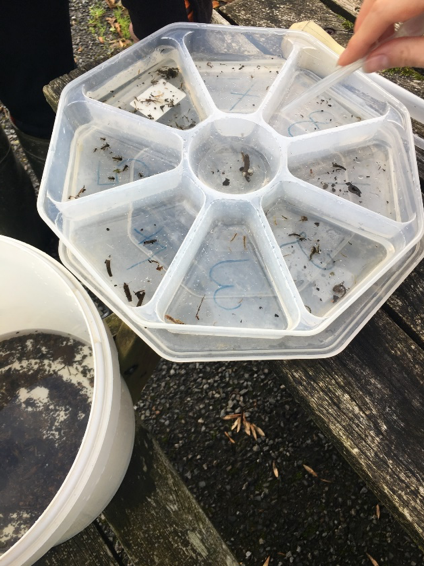 Any fish are thrown back (and some were which speaks volumes for the cleanliness of the water) and the remaining wildlife is assessed, counted and catalogued.